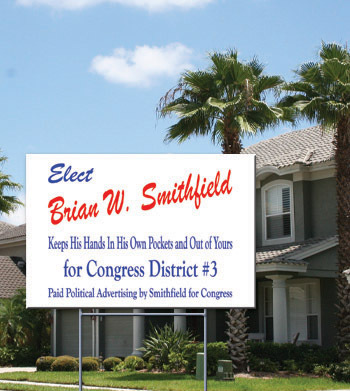 Cape Coral Yard Signs by Priority Sign! Deliver your Message to the Masses! Priority Sign can create highly visible and durable political signs on 4mm white, corrugated plastic, with bright and colorful lettering, in either single- or double-sided styles. Our political signs are 24" X 18". Custom sizes and full color digital printing are also available. Please call for more information today! 10" X 30" Step Frames are $.85 ea.